Can you believe that Thanksgiving is just a few days away? November is just zooming on by. I haven't even thought about what I'm going to make for Thanksgiving. We'll probably have chicken, since I can never seem to find a turkey. But other than that, the only thing I know for sure that I will be making is pie. Lots and lots of super yummy holiday pies. And that's exactly what Girlichef and I are making this month for She Made/Ella Hace. 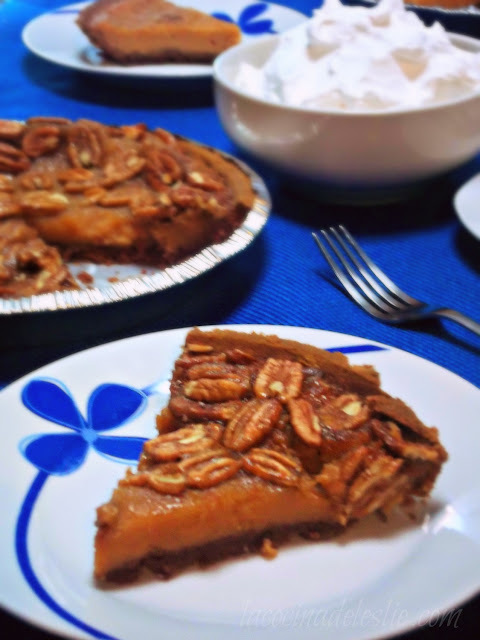 Every year for Thanksgiving, and Christmas, I bake a pumpkin pie or sweet potato pie, a Pay de Cajeta (Cajeta Pie), and a Pecan Pie. But not just any pecan pie, my Hubby's favorite Cajeta Pecan Pie! This recipe came about quite by accident one year for Thanksgiving when I was preparing my traditional Pecan Pie, and realized I didn't have enough maple syrup. Instead of heading out to the store to buy more maple syrup, I looked in my pantry to see if there was something, anything I could use as a substitute. That's when I saw the big jar of cajeta, a goat's milk caramel sauce, that my suegra had taken us as a gift on one of her visits to the States. 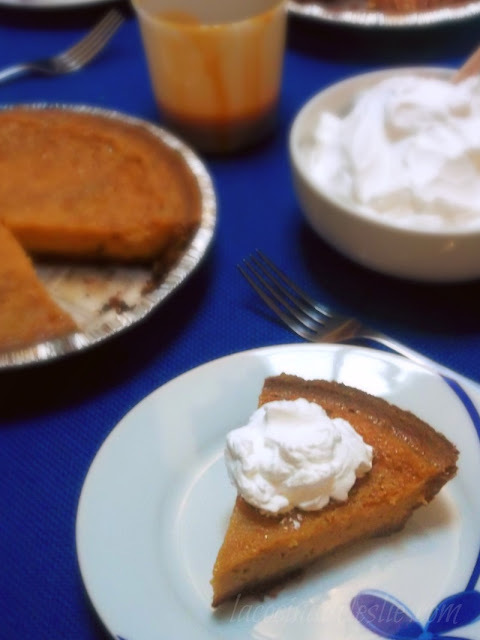 The results were so good, that pie was the first to disappear that Thanksgiving. 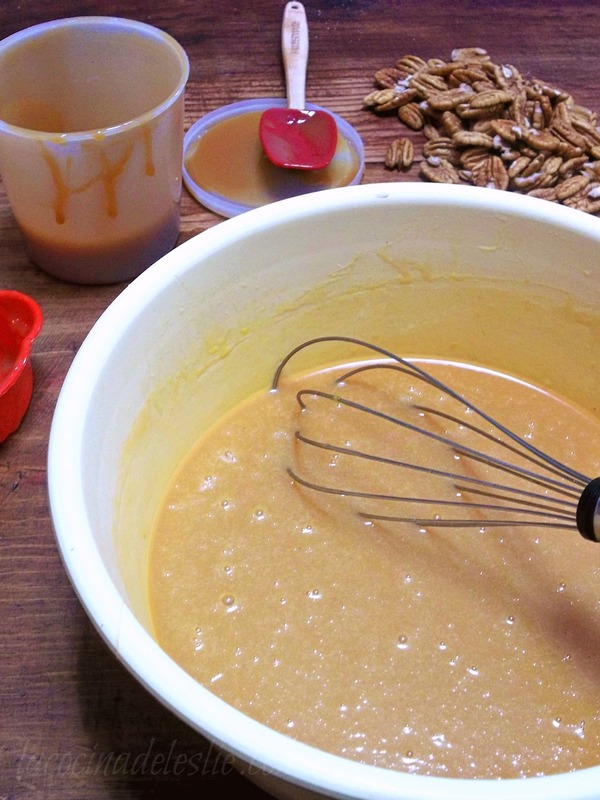 Cajeta and pecans were made for eachother. 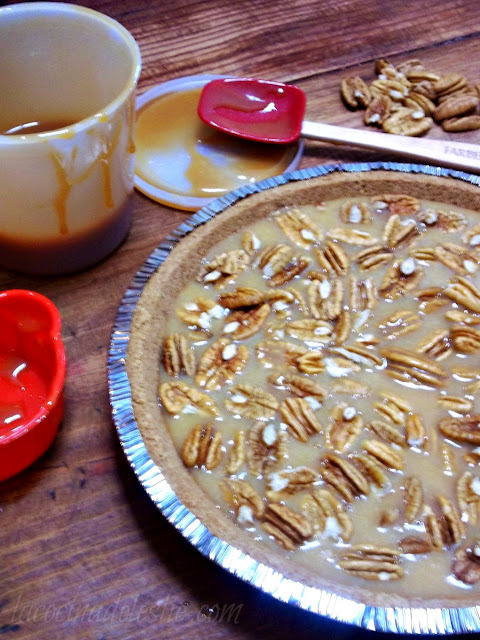 I made another pecan pie with just the cajeta the very next day along with a creamier Cajeta Pie without pecans. They've been a holiday tradition every since. 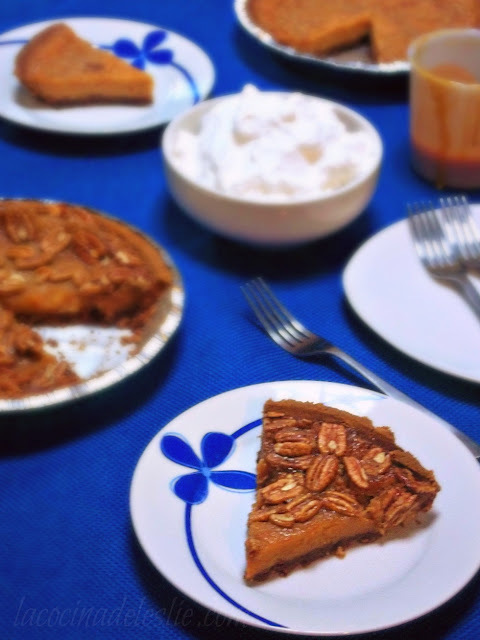 When you're done here, be sure to visit Girlichef's Spiced Maple Pecan Pie w/ Star Anise! Doesn't that sound delicious? In a medium bowl, whisk together the cajeta, melted butter, eggs, and salt until well combined. 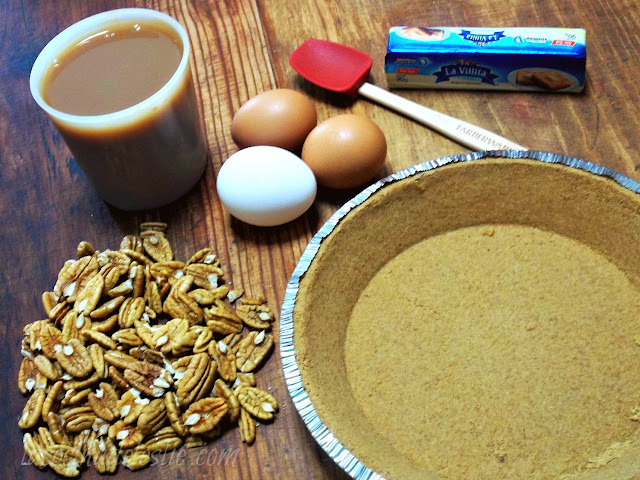 Pour the cajeta mixture into the pre-made graham cracker pie crust. 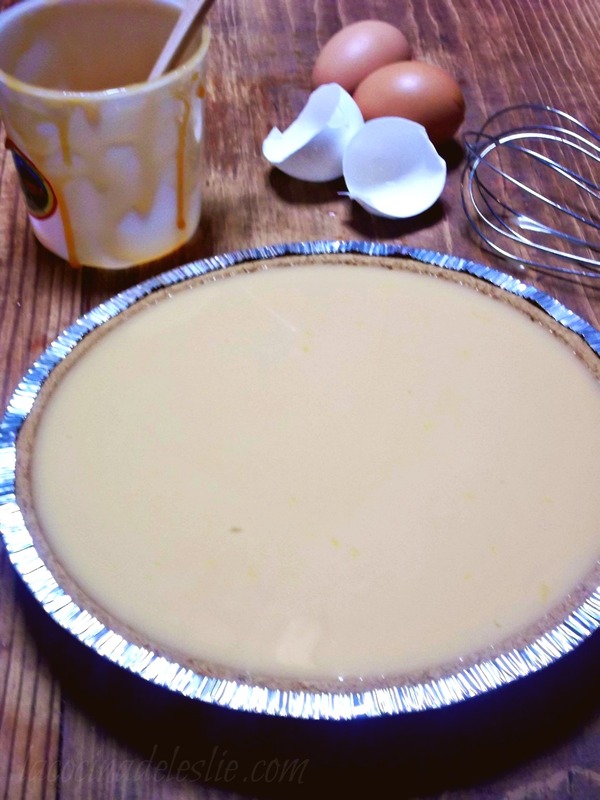 Place the pie crust on top of a larger cookie sheet. (I do this for all the pies I bake in case the pie contents overflow.) Bake at 350F for about 40 minutes or until the center of the pie no longer jiggles. Remove from oven. Let cool to room temperature; refrigerate for at least 2 hours before serving. Enjoy!!! Preheat oven to 350F. 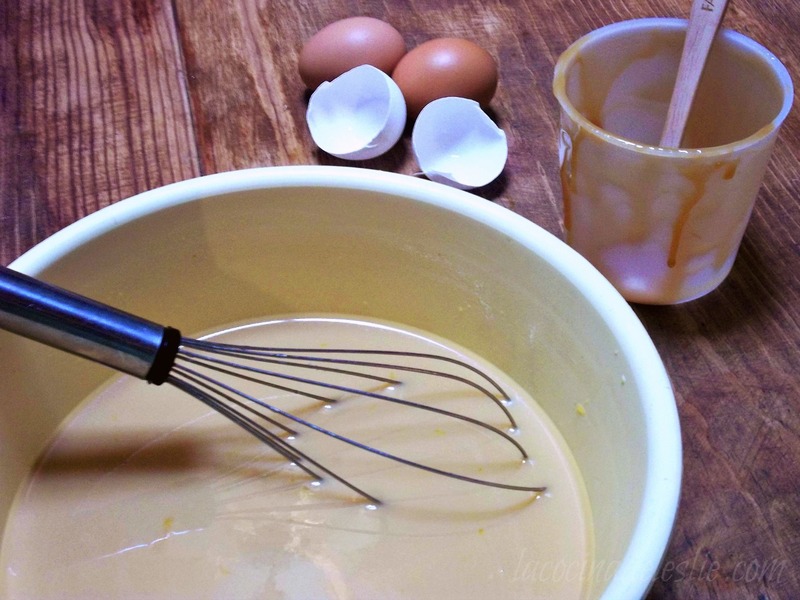 In a medium mixing bowl, whisk together the evaporated milk, cajeta, eggs, and salt until well combined. Pour the cajeta mixture into the pre-made graham cracker crust. Place pie on top of a larger cookie sheet to bake. Bake at 350 for about 40 minutes or until the center of the pie no longer jiggles. 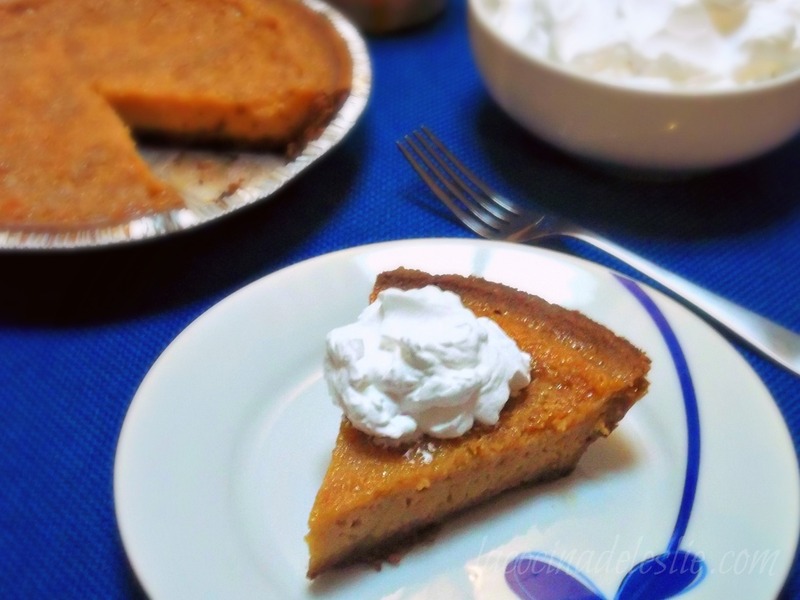 Remove pie from oven and let cool to room temperature. Refrigerate for at least 2 hours before serving. Top each slice with a dollop of whipped cream. Enjoy!!! 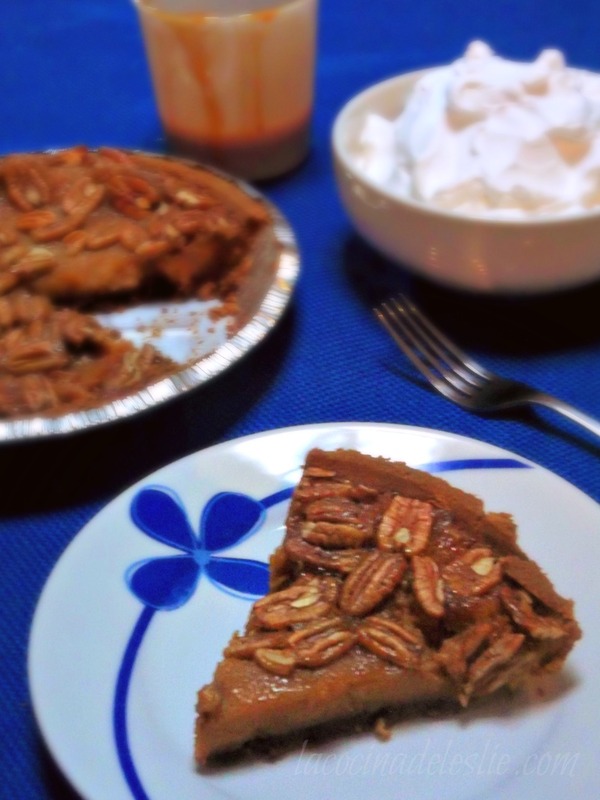 Now head on over to Girlichef's blog to check out her amazing Spiced Maple Pecan Pie w/ Star Anise. Hooooo Doggy, does that sound AMAZING! I can almost taste it, seriously. I love the deep color that the cajeta gives it, too - I almost thought there was some pumpkin in there. I want to try both versions. I don't think I've ever seen a Maria crust around here, I'm gonna check the Mercado. If not, I'll have to make my own. Beautiful, Leslie. I hope that you and the fam have a wonderful Thanksgiving (chicken day!? lol) this year. Oh, Leslie, I am so excited about these recipes. I've never made pie with cajeta, though I have used it in many dessert recipes. I remember once when visiting a cousin in the northeast US, she wanted me to make something Mexican for dessert. When I asked for cajeta, explaining what it was,at the fancy store that had everything in the world available, they sent me to the Hispanic stock clerk who brought me out some small boxes. Just boxes...cajas...and I laughed.